Mt. Pleasant SC is located east of the Cooper River, which is why some folks refer to it as East Cooper. Over 70,000 people call Mt. Pleasant home, and they enjoy incredible diversity in shopping, dining, services and recreational activities. What’s on your homebuying checklist? Schools? Mt. Pleasant schools are top-ranked. Health care? 140-bed East Cooper Hospital is a top-notch neonatal, imaging and cancer treatment facility with extremely high patient satisfaction ratings. Shopping and dining? It’s not just limited to the bustling Mount Pleasant Towne Center. A drive along Coleman, Chuck Dawley or Highway 17 will reveal all the shops and restaurants you will ever need, as well as dentists, dry cleaners, doggie day cares…Mt. Pleasant has it all! Looking for natural beauty and historic charm? Visit the Palmetto Islands County Park, Boone Hall Plantation, Patriot’s Point, and the Old Village. Look into Mount Pleasant real estate and you will find a variety of options, including condos, town homes and single-family houses. 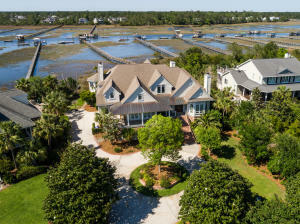 You will also find a selection of fine waterfront properties along Shem Creek, the Cooper River, the Wando River and the Intracoastal Waterway. If golf is your passion, check into the upscale neighborhoods of Charleston National, Snee Farm, Dunes West or RiverTowne. 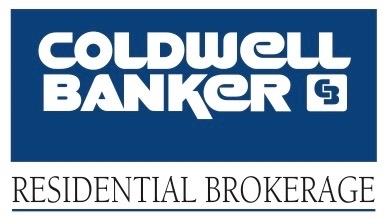 Brickyard Plantation, Hamlin Plantation and the related communities of Park West and Belle Hall offer the homebuyer a wide range of options, including single family home and town homes, and are designed to fit a variety of budgets. Each provides the homeowner a range of amenities including fitness centers, clubhouses, walking trails, aquatic centers, tennis courts and more. One unique community is I'on. 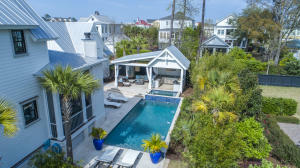 This neo-traditional community, just ten minutes from Downtown Charleston, features homes, bistros and boutiques with classic, coastal, Lowcountry architecture. Hamlin Plantation is located near the fast-growing Highway 17 North corridor in Mount Pleasant, SC. While many communities claim to be “award-winning,” Hamlin Plantation is the real deal, having been awarded the coveted "Community of the Year" and "Amenity Center of the Year" awards from the Charleston Trident Homebuilders Association. Hamlin Plantation offers homeowners a wide variety of lifestyle and home-style choices, including the lovely marsh front homes of The Sound; classic Lowcountry homes in The Village and the impressive architecture you will find in Madison and Waverly. There is no shortage of recreation at Hamlin Plantation, from with the award-winning Amenity Center, to the natural beauty of nearby barrier island beaches to all the excitement and history of Downtown Charleston, only 20 minutes away. Located fast-growing Highway 17 North corridor of Mount Pleasant SC, Brickyard Plantation is a unique collection of ten distinctive neighborhoods. While each neighborhood has its own personality and feel, they all unite around a shared and well-appointed amenity center. This gives Brickyard homeowners a true sense of community that is both friendly yet private. Brickyard Plantation homeowners enjoy an impressive range of recreational offerings balanced by traditional neighborhood peace and quiet in a lush, relaxing atmosphere. In fact, fully 20% of Brickyard land is dedicated to forests, wetlands and lakes. The 850 homes of Brickyard Plantation are situated in the most award-winning community in Charleston SC, having been awarded “Community of the Year” an unprecedented five times by Charleston Trident Homebuilders Association. Mt. Pleasant’s charming Old Village, located just ten minutes from Downtown Charleston, is listed on the National Historic Register. Here you will find colonial and antebellum period homes as well as many historic churches situated along quaint, tree-lined streets. At the heart of the Old Village you will find Pitt Street. Once the retail and business center of the Old Village, Pitt Street is now home to several charming boutiques and cafes, as well as the Pitt Street Pharmacy, where you can still enjoy an old-timey ice cream soda. Charm your out-of-town guests with a stay at the Old Village Post House Inn, an 1880’s grocery store turned inn, restaurant and tavern! Other sites of interest in Mt. Pleasant’s Old Village include Alhambra Hall. Situated in a waterfront park with a breathtaking view of Charleston Harbor, the Alhambra is a gem among Charleston’s many exquisite wedding and special event sites. Take a Virtual Tour of RiverTowne. 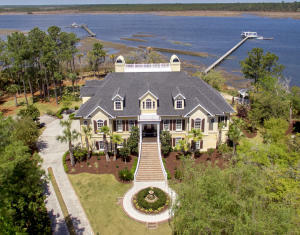 Located on the banks of the Wando River in Mt. 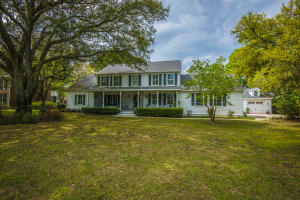 Pleasant SC, just east of Historic Downtown Charleston, you will find the communities of RiverTowne Country Club and RiverTowne on the Wando. Though it is only a 25-minute drive from Downtown Charleston, RiverTowne feels like a secluded getaway that features a wide range of amenities such as bike and nature trails, swimming pools, tennis club, amenity center and Wando River community docks. At RiverTowne, you can take a step back from the bustling activity of the Highway 17 North corridor and enjoy an old-fashioned, peaceful neighborhood feel. Stroll along tree-lined byways and through lush, green parks. Stop for a bite to eat in a sunny picnic spot. Feel a sense of community as you meet and greet your neighbors and enjoy the relaxing natual beauty that surrounds you. Of course, for some, “relaxation” means Golf. Well, RiverTowne has you covered! Enjoy pro-level golf at the Arnold Palmer Signature golf course, surrounded by the beautiful Wando River and Horlbeck Creek. It’s country club living at its finest at Dunes West! Located in Mt Pleasant SC, Dunes West offers homeowners resort-style amenities in a lush, suburban setting. Amenities include Thomas Lynch Hall, a perfect setting for a classy affair or a neighborhood get together. The facilities include a spacious private event room with full kitchen. Golfers will be delighted by the championship 18-hole Arthur Hills golf course. All around, unspoiled woods and waterways offer Dunes West residents excellent afford great opportunities to soak up the natural beauty. Whether you crave an active lifestyle, or just like to take it easy in a relaxed setting, there’s something for everyone at Dunes West. Located in the desirable Highway 17 North corridor, Dunes West is your gateway to endless shopping, restaurants, professional services and recreation. The Mount Pleasant Towne Center is right at your fingertips, Isle of Palms beach is just minutes away, and I-526 gives you quick access to Downtown Charleston and the airport. 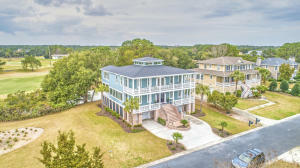 Located along the Intracoastal Waterway on the northern end of Mt. 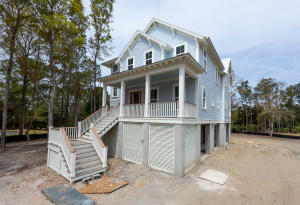 Pleasant SC, Charleston National is a community of beautiful well-built homes in a tranquil, coastal Carolina setting. 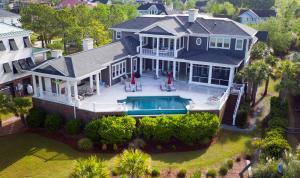 It is also home to the luxurious Charleston National Country Club. Here you will find a pro-level, 18-hole golf course designed by Rees Jones. Charleston National offers a range of housing choices, from luxury apartments to deepwater estates, all nestled in a natural haven of lagoons, wetlands, pine and oak. The Belle Hall community is a collection of varying home styles of different price ranges, so you’re bound to find just what you’re looking for! Conveniently situated near I-526 and Longpoint Road, Belle Hall offers you endless opportunities for shopping, dining and recreation. The Mount Pleasant Towne Center is just minutes away, and the beach at Isle of Palms beach is just a short drive. Or, stay home and enjoy the many amenities Belle Hall has to offer. These include a beautiful clubhouse for events and socializing, basketball, tennis, swimming pools and walking trails. Top-notch health care and award-winning schools are right at your doorstep. With so much to offer, it’s easy to call Belle Hall “home”! Snee Farm features a wide selection of home styles of various prices, all in a relaxing, picturesque atmosphere. Conveniently located near I-526 and 17 North, Snee Farm is picturesque community with easy access to everything Mt. Pleasant SC has to offer. Shopping, dining, services and recreation opportunities are just outside the entrances of Snee Farm, but there’s plenty going on inside, as well! The Snee Farm Country Club offers plenty of relaxation in the form of golf, tennis and swimming. The clubhouse features a café, bar and event rooms for members. Park West, in Mt. 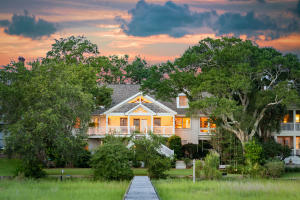 Pleasant SC is a wonderfully planned community encompassing many home styles and price ranges. You will find a wide range of unique home styles to choose from at Park West. This includes live-work residences, condos, town homes, neotraditional homes and single-family homes. There is even a growing adults-only community including an assisted living care facility. So, at whatever stage of life you find yourself, there’s a Park West home for you! There is no shortage of leisure activity at Park West. Aside from miles of hiking trails that connect the various neighborhoods, there is a swim and tennis club featuring six tennis courts, two swimming pools, clubhouse, playgrounds and parks. There is also a 60-acre Mt. Pleasant recreation center within the neighborhood! As for schools, your kids are in good hands, no matter what their age. Within Park West, or very nearby, you will find highly rated elementary and middle schools, as well as Wando High School. Health care is another plus, with Roper Hospital practically right next door. Unique to Park West, shopping, dining, a fitness center, physician's offices, dental offices, veterinary care, and more is located right inside the neighborhood and more is just outside in Mt. Pleasant, and Downtown Charleston is less than a half hour away. You’ll find plenty of ways to relax at I’On, as well. The I’On Club offers swimming, tennis and fitness with dedicated instructors, year-round. Additionally, the Creek Club, on the banks of the Hobcaw, features two grand fireplaces and deep porches perfect for community events. If you care to leave the easy-going serenity of I’On, all the shopping and dining you can handle in Mt. Pleasant is moments away.